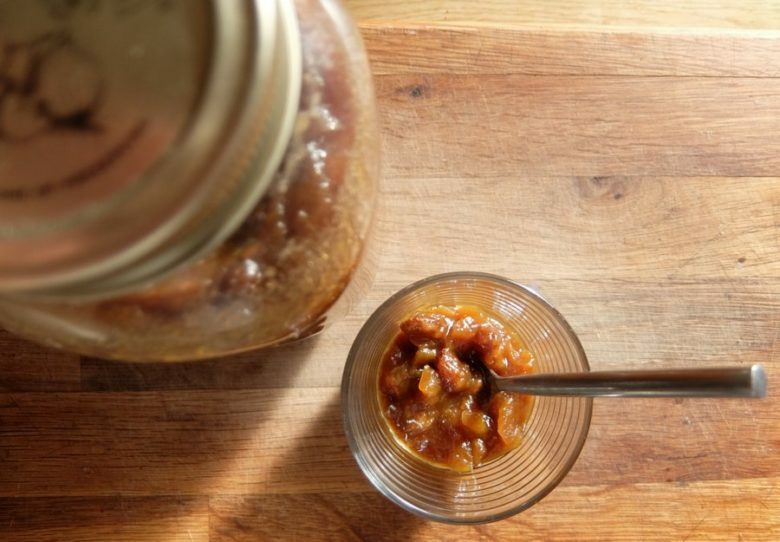 Cheese and apple chutney, this is a classic food pairing. Whether it is in a sandwich or with biscuits and crackers, chutney cuts through the richness of the cheese and provides a tangy, sweet counterbalance. This apple and onion chutney is my go-to choice for a cheese sandwich and it is so easy to make in large batches, you can set enough aside for last the whole year in just an afternoon. Not only does it pair well with cheese but also with meats like ham or pork, which, as we all know Apple is a perfect partner. 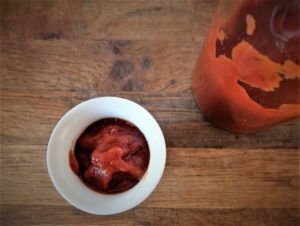 Chutneys utilise sugar and vinegar in partnership to keep the contents of jars preserved for years. 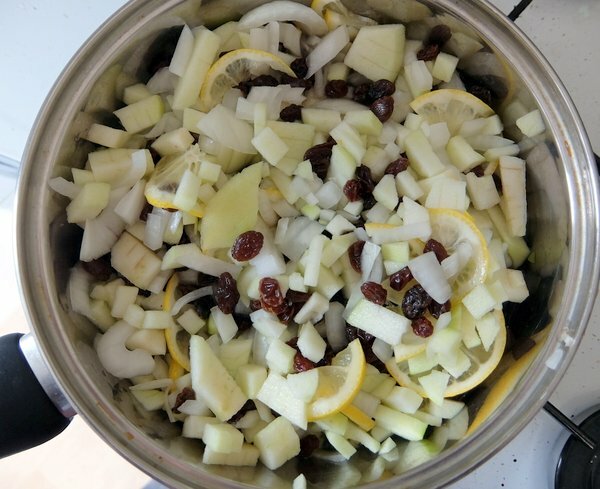 Vinegar lowers the pH of the chutney, therefore, preserving it and the sugar draws moisture out of the apples and onions as well as combining with the pectin from the apples to give the chutney a nice texture. People suggest that the longer you leave a jar of chutney to mature the better it tastes, you’ll be pleased to know, however, once you have made this apple chutney you can start eating it after a week or two. It will, however, last a year unopened so you can make a large batch and enjoy it year round. Cooking apples are required for this chutney. Bramleys are a common variety that even supermarkets sell so even if you don’t have access to an apple tree you can still make this apple chutney. Cooking apples hold their structure better so that the finished chutney has more texture and bite. Eating apples will tend to dissolve into a mush when you are cooking the chutney so are best avoided. Cooking apples are also tart or even sour which provides a tanginess to the chutney as well as high in pectin which gives the finished chutney a firmer, rather than loose, texture. Windfall apples are good for this chutney but be sure to remove any bruised or damaged parts of the apple before using them.To prepare your apples for the chutney they will need to be washed, peeled and cored. A preserving pan is a huge help and can also be used for other preserves like jams and jellies. This apple chutney recipe only makes 2 large jars or 3 – 4 smaller jars but before the apples and onion are sweated down they take up a lot of space. Preserving pans a wide and have a large capacity for the ingredients. Also being wide means water can evaporate a lot quicker meaning that the chutney cooks a lot quicker than in a regular pan. A preserving pan is definitely a tool worth having if you preserve every so often. Jars are a must to package up your apple chutney. 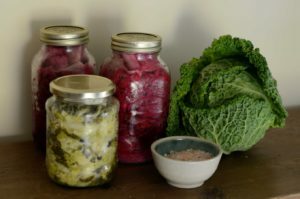 Simple jars with screw on lids are all that is required. 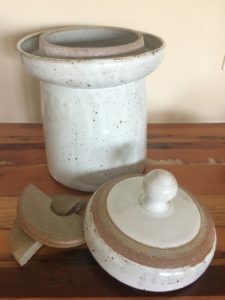 Jar Tongs and a jar funnel are also good for handling hot jars after they have just been sanitised and for filling them with the hot apple chutney. 1. To begin prepare the apples by coring them, peeling and roughly chopping them into small 1cm sized cubes. Add these to a preserving pan with the roughly chopped onions, raisins and vinegar. Slice the lemons in half lengthways and slice very finely into semi circles. 2. Bring the ingredients in the preserving pan to a boil and simmer for around 20 minutes, the apples should soften but not completely lose their shape. 3. After 20 minutes add the sugar and stir thoroughly to dissolve. Continue simmering for a further 35 – 45 minutes until most of the liquid has evaporated. The apple chutney should be fairly thick at this point, if it is still water continue simmering. 4. After the 35 – 45 minutes, when the chutney has thickened remove from the heat and stir in the salt and the spices. 5. Package the apple chutney in still hot sterilised jars as soon as the chutney has come off the heat. Everything should be hot at this point to ensure a good seal. 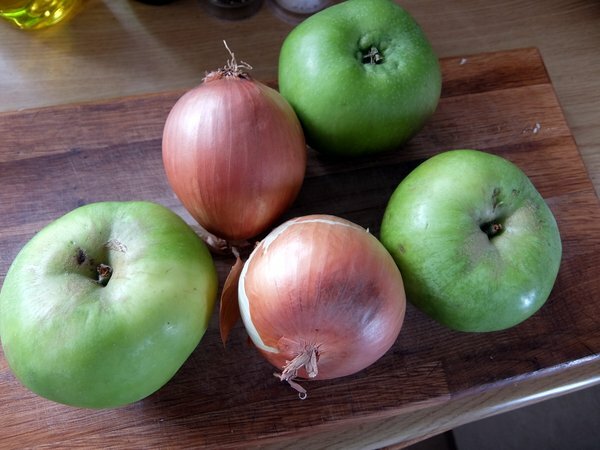 The apple and onion chutney is best stored for a week or two for the flavours to mellow and combine and can be stored for months in a cupboard before being used should you wish.